Mesothelioma symptoms are best recognized sooner rather than later. Catching mesothelioma as early as possible will give you the best chance at fighting this lethal cancer. 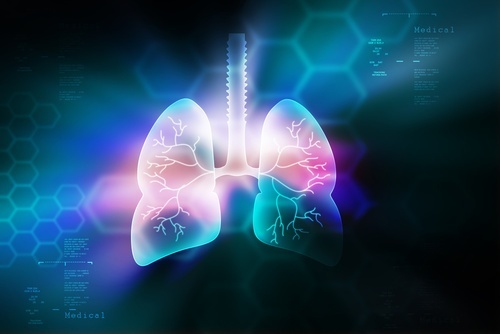 The degree of effectiveness of various treatment options for mesothelioma, including surgery, can depend on how soon in the disease process treatment intervention begins. Detecting mesothelioma symptoms at an earlier stage of the disease may not only give you better treatment options, it also may significantly increase your life expectancy. It’s not easy to make a doctor’s appointment knowing you may get a diagnosis you do not want to hear. We understand. No one would want to receive a mesothelioma diagnosis. But in order to begin treatment and fight back, you need to have an official diagnosis for your mesothelioma symptoms. That is your best Hope. Mesothelioma symptoms will not emerge for years, often times decades. That is part of what makes this lethal cancer so especially tragic. There is no tell-tale mole as in skin cancer or suspicious lump as with many breast cancer cases. There is no annual test like the colonoscopy which checks for signs of colon cancer. Although some people think there should be. Because mesothelioma is usually fatal, partly due to its being diagnosed at such a relatively late stage and because there are no recognizable symptoms of the disease for such a long time, some mesothelioma advocates think everyone should be screened for mesothelioma. Mesothelioma is caused by only one thing – asbestos. Not everyone who is exposed to asbestos will develop mesothelioma. But for those who are susceptible, asbestos exposure is a veritable death sentence. If you know that you have been exposed to asbestos, do not wait to see whether mesothelioma symptoms emerge decades later. That is like playing roulette with your life. Tell your doctor. Demand a lung screening. There are other types of mesothelioma but pleural mesothelioma which starts in the cells lining the lungs is the most common. Ask your doctors to code the lung screening as a needed preventive test so that it will be covered by your health insurance. If you have to, pay for it yourself. Mesothelioma is like a fire. You want to catch it before it is raging out of control. You only get one life and if you know for certain that you were exposed to asbestos, you owe it to yourself and your family to get tested even before mesothelioma symptoms appear. Maybe you have a cough. So you think you have a slight cold. Or that maybe you are allergic to the cat or the air freshener in your car. No big deal, you think to yourself. Or maybe you’ve been experiencing shortness of breath and you tell yourself you need to start working out at the gym again. Or you are feeling tired and it seems to you that it’s nothing a little vacation wouldn’t fix. But these all can be mesothelioma symptoms. Why wouldn’t you suspect that these are mesothelioma symptoms? Because you may not even be aware that you were ever exposed to asbestos, the only cause of mesothelioma. Asbestos dust particles are so incredibly tiny that they are invisible to the naked eye. And they are so light that they can easily travel through the air. You could inhale asbestos dust without even knowing it. It has no scent or taste. It could have settled on your hair or your coat as you walked past a building being demolished. It may have been in the insulation in your home. Or maybe you worked with asbestos and weren’t warned. Because mesothelioma symptoms tend to appear such a long time after exposure to asbestos, it will be important for you to thoroughly review your work history and the places you’ve lived in to try to piece together where and when the exposure occurred. This may be crucial information to bring to a qualified asbestos attorney to determine whether you have a potential asbestos lawsuit. Pleural mesothelioma accounts for over 75% of all mesothelioma cases. Pleural refers to the lining of the chest and lungs which are called the pleura. The persistent irritation caused by sharp pointy asbestos particles can trigger inflammation in the pleura. Over time this causes scarring which leads to a thickening of the pleura. Fluid becomes trapped within the thickened pleural walls around the lungs and builds up. This is called pleural effusion. It prevents the lungs from being able to fully expand. Breathing can become painful and there can be discomfort in the chest area. These mesothelioma symptoms may be overlooked as just a flu or a cold, these symptoms also can be mistaken for emphysema or tuberculosis. Chest x-rays can reveal the scarring of the lining of the lungs that is the telltale sign of mesothelioma. Peritoneal mesothelioma is the next most frequent type of mesothelioma after pleural mesothelioma. It affects the abdominal area. The peritoneum is the membrane that forms the lining of the abdominal cavity and pelvic area. It is composed of a layer of mesothelium supported by a thin layer of connective tissue. It covers the organs of the abdominal region including the intestinal tract. Just as with the mesothelium in the lungs, this mesothelium can be vulnerable to the inflammation and scarring caused by asbestos particles. Peritoneal mesothelioma may be misdiagnosed as a more common condition such as irritable bowel syndrome. Pericardial mesothelioma is the type of mesothelioma that attacks the thin membrane surrounding the heart, known as the pericardium. It is the rarest form of mesothelioma at about 1% of all cases. Pericardial mesothelioma can be mistaken for other common heart conditions and disease of the pericardium. If you believe you have been exposed to asbestos and you are experiencing any of the mesothelioma symptoms described, please consult your physician as a first step. The best practice would be to go for a checkup, if you suspect you have been exposed to asbestos, even if you are not experiencing these symptoms currently. Information is power and finding out the status of your health is a vital first step. If you need more information, please read our library of articles and pages about mesothelioma.